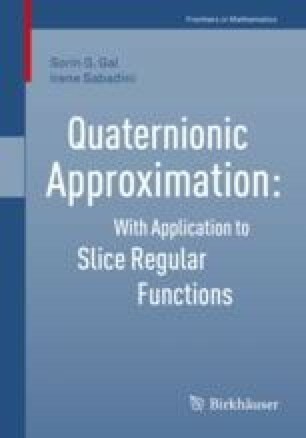 In this chapter we present some results concerning approximation theory in the setting of nullsolutions of generalized Cauchy–Riemann operators in the quaternionic and in the Clifford algebra setting. This last case was considered only marginally in this work, but in this chapter we deal also with this more general situation when it is the framework of the original sources. It is obvious that one can always specialize the results to quaternions.